Long, narrow, fairly pointed wings, long rounded or tapering tail, shallow loose wing-beats, persistent hovering and rufous upperparts, contrasting with darker flight-feathers, characteristic. Compared to Lesser, male has black spots on back and wing-coverts (absent in male Lesser), lacks blue-grey greater upper-wing-coverts, has different head-pattern and underwing. Female has dark bars on red-brown upperparts; some approach male in greyness on head, tail-base and uppertail-coverts. Juvenile paler brown with thin white line along greater coverts above. 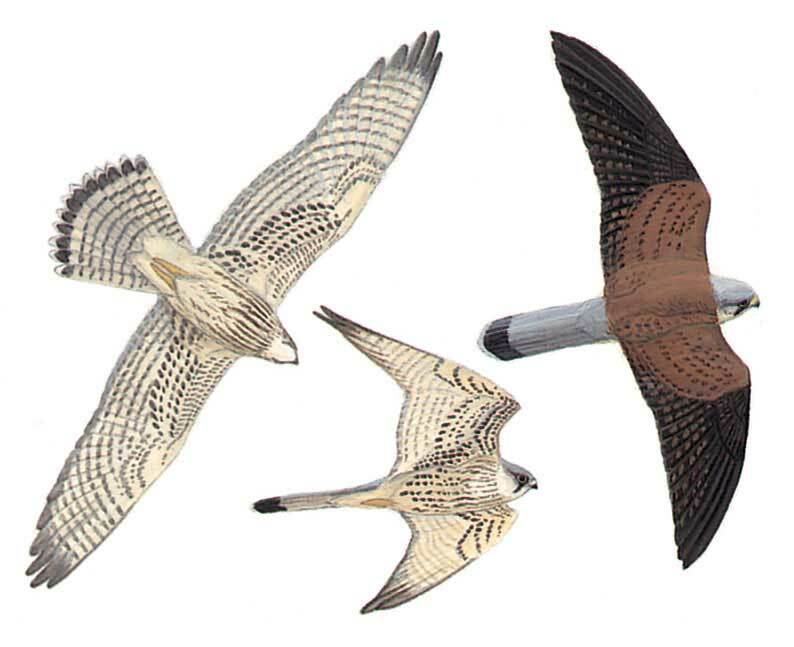 Active flight alternates with slow glides, some soaring and frequent hovering. At all ages told from Lesser by black claws.